Got weather? I have no doubt that you do. Today’s savvy general aviation population utilizes a wonderful mix of old and new tech. Classic steam gauges and luminescent digital glass screens; gas turbines and single piston engines; wooden frames, fabric wings, aluminum bodies and sleek carbon fiber. Regardless of whatever infinite combinations you might be rocking for aircraft preference, the thing that remains fairly constant is that most pilots want the latest and greatest when it comes to getting the weather. With the vast number of handheld electronic devices that are able to provide weather information in the palm of your hand, most pilots are getting just that. ForeFlight or FltPlan Go? WingX or WINDY? All GA weather information products over the past 10 years have the ability to provide incredibly accurate, detailed, and timely meteorological information to pilots. The biggest and brightest in flight planning apps are hard to beat for ensuring you are getting a good weather briefing. With the swipe of a finger you can overlay your flight plan route on different maps that depict METARs, icing and icing potential, winds, precipitation, and turbulence to name a few. I have personally watched many a lively “This App is King” debate with each pilot arguing everything from its ease of use to the vibrancy of the colors and high definition of the depictions. The conversations are always informative and even mildly entertaining; however, the human factors scientist in me can’t help but wince when I hear about just how different each application can be. I am not the only one who has concerns. While these products have been designed and implemented with the ultimate goal of allowing pilots to make better weather decisions regarding their intended flight operations, unfortunately, they haven’t led to a decrease in the level of weather-related accidents and incidents. Part of the problem, we are realizing, could be found in those same human factors considerations that give me pause. Although there is lots of weather out there and there are lots of vendors providing that information on their device or via their application, there are inconsistencies in how some of the information is actually packaged, displayed, and disseminated. These “inconsistencies” in information could introduce unintended safety risks to the user, depending on the device or the application. One of the primary goals of the FAA’s Weather Technology in the Cockpit (WTIC) Program is to incorporate weather and human performance research into the standards and guidance documents that support pilot weather-decision-making. The intent is to address those inconsistencies and start budging that weather-related accident and incident safety needle again. WTIC is an FAA NextGen weather research program that consists of various research projects relating to how weather information and technology is delivered to the cockpit. Once any gaps in weather information or technology are identified, WTIC research will develop, verify, and validate a set of Minimum Weather Service (MinWxSvc) recommendations for 14 CFR part 121, 135, and 91 to address those gaps and enhance pilot weather decision making before he or she encounters potentially hazardous weather conditions. My mother, who has only recently become comfortable with communicating via text, has been learning the basics of the process. A few months ago I received a message from her followed by a long series of what can only be described (for this PG publication anyway) as a bunch of poo emojis. Amused, I gently queried her on what I had done to deserve the poopy post. She didn’t know what I meant. It was near Valentine’s Day, and she thought she was sending tiny chocolate kisses. This rather humorous little learning experience actually serves to highlight one of the primary problems with weather dissemination and all those apps. Currently, the guidance and regulations on how the information is supposed to look is incomplete. Therefore, each company is doing its own thing. This can be problematic as it shifts the responsibility of interpretation to the user. That, dear reader, means YOU. Sure, many vendors take their cues from the symbols the National Oceanic and Atmospheric Administration (NOAA) use, but when it comes right down to it, one person’s poop emoji can be another’s chocolate kiss. Ian Johnson, the engineering psychologist and human factors lead with the WTIC program says that vendors electing to use different shapes and colors for their symbols could unintentionally affect a pilot’s behavior. “Results from WTIC studies have shown that depending on the symbology, pilots varied considerably in their overall detection of METAR symbol change during flight,” says Johnson. That gap in understanding and in the inherent latency of when those symbols even pop up is where the issues are creeping up. The researchers and scientists in the WTIC program get it, so they have been working to better understand how the current information is being displayed in the cockpit and used, and whether or not what is presented is at least the minimum set of weather information necessary for the pilot to safely conduct their flight. To date, the WTIC research team has completed more than 30 studies and experiments. The research aims to recommend the minimum necessary weather information and its presentation on cockpit or portable displays to enable pilots to make consistently effective and safe weather decisions. Based on these findings, researchers publish recommendations and guidance that will help educate cockpit instrument designers on which display symbols and techniques best convey critical weather information. The WTIC team isn’t just getting it done in a lab, however. The hard-working WTIC team has taken its research on the road, meeting the crossroads of what we already know and what the average pilot actually experiences. At the 2017 Sun ‘n Fun Fly-In and Expo, the WTIC team let a series of volunteer pilots fly the Weather Information Latency Demonstrator (WILD). WILD was created as part of a WTIC research effort by Purdue University and Western Michigan University under an award to the Partnership to Enhance General Aviation Safety, Accessibility and Sustainability (PEGASAS) program. Even with the best weather applications, a display may show pilots information about a thunderstorm that can be five to 20 minutes old. Believing they are still flying in the clear, pilots can stumble into a storm they thought was several minutes away. Worse, some pilots might try to “shoot the gap” in storms that simply aren’t there anymore by the time he or she arrives. Gary Pokodner, the WTIC program manager, says “another thunderstorm cell can pop up behind the one a pilot is watching, and this can happen in a matter of minutes.” It was challenging for the pilots to judge how soon the weather or visibility would start to deteriorate and how quickly they needed to respond. The result is the dreaded VFR into IMC scenario which still today remains stubbornly affixed as one the most prevalent (and fatal) causal reasons for aircraft accidents and incidents. Another issue the WTIC program is actively researching has to do with a rather insidious phenomenon known as change blindness. This is when a change in or on the visual stimulus (such as a tablet or flight deck array) is introduced and the person using it doesn’t even notice. It happens far more often than you would think. Once again, the WTIC researchers put a volunteer force of 100 pilots to the test. The results? The researchers found that the pilots were more likely to miss a cue that the weather had changed (e.g., from VFR to IMC) if the alert display used one color versus another. The pilots simply didn’t detect the changes shown to them in those certain colors. Which means that not only do the symbols and colors across different weather application platforms vary from one another leaving room for interpretation (i.e., risk); once something does change, the user might not even notice it. So we’ve learned that alerting — meaning attracting the user’s attention to the place where it is needed most — is key in effective weather dissemination. 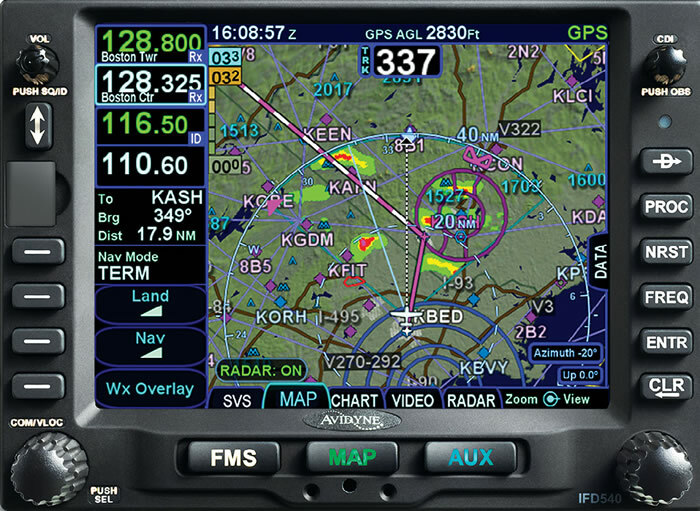 The research results, MinWxSvc recommendations, and guidance documents originating from WTIC research on which display symbols, colors, and rendering techniques effectively and intuitively convey weather information to pilots are frequently briefed to industry experts so that they can aid in the development of even better software. 6 or 9? It Makes a Difference. There is a meme floating around out there about two people coming from different directions and approaching a number that has been drawn on the ground. One person proudly declares that the number is a 6 while the other counters and says it is a 9. The original intention of the meme was to show that sometimes there is no true “right answer.” With respect, I have to disagree. Someone, at some point provided information — a 6 or a 9 — and it is highly likely they did so with specific intent in mind. However, because of the nature of information acquisition (i.e., the info was left to stand on its own) things were left up to interpretation, ambiguity was introduced, and the true nature of the information got befuddled. This is where you come in. As a pilot, the information you access and use might not always be exactly as it seems. Taking things for face value might have you winding up in one of those “undesirable situations” those poor guys at Sun ‘n Fun found themselves in. Recognize that while these tools are state-of-the-art, they are not flawless. You must, at all times, actively work to reconcile what you are seeing with other bits of information in and outside the cockpit. Use reports from your fellow flyers to complete the picture and try to provide as much information as possible to help the next person out as well. PIREPs go a long way in completing a mental construct of what is going on around you. Lastly, if there is one take-away the WTIC program representatives would like to impress upon you, it is that weather applications were designed as a decision-making tool so that you can give WIDE berth to bad weather. The applications weren’t designed for tactical maneuvers as “shooting the gap.” VFR into IMC remains today as it has been for the last two decades; by far the most lethal of the causal factors for accidents. 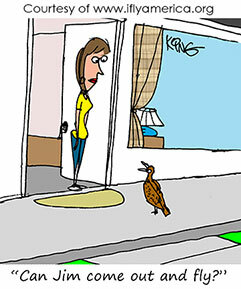 It’s best to respect the limitations of the technology and navigate away. Sabrina Woods is a guest writer for the FAA Safety Briefing. She is a human factors scientist with the FAA’s Air Traffic Organization. She spent 12 years as an aircraft maintenance officer and an aviation mishap investigator in the Air Force.